EuroStemCell is now in its third iteration. Two projects funded under the European Commission’s Sixth and Seventh Framework Programmes precede this one. All three sit on a continuum of evolving practice in the communication of stem cell research - to European citizens and beyond - and of public and research community engagement. With each iteration we have extended our network, and enhanced opportunities for sharing expertise and knowledge. The EuroStemCell journey began in 2004 with the European Consortium for Stem Cell Research - an Integrated Project funded under the EU's Sixth Framework Programme.that aimed to build the scientific foundations needed to take stem cell technology to the clinic. The work of the European Consortium for Stem Cell Research is an outstanding success story...It is an example of the successful integration of science, communication, ethics and training. And it demonstrates how European science can become a world-wide reference in a particular field. During EuroStemcell's four-year duration, more than 100 researchers from 27 of Europe's best stem cell labs tackled the basic, applied, clinical and ethical research needed to build the foundations for regenerative medicine. Supporting this work we developed state-of-the-art solutions: new methodologies, media and tools to benefit the whole research community. EuroStemCell's training and networking programme helped build a strong European base for stem cell research, and established the annual Stem Cells & Regenerative Medicine summer school in Hydra, which more than a decade on continues to train the next generation of stem cell scientists. EuroStemCell also pioneered innovative approaches to public engagement, such as the collaboration between scientists and filmmakers to produce an award-winning series of short films, Stem Cell Stories. You can read more about EuroStemCell's work, and the people involved, in this series of posters exhibited at the European Parliament in December 2007. Our well-received public engagement work in the first project was the catalyst for the second EuroStemCell, focused exclusively on the communication of stem cell research (rather than the research itself). After a transition period between funding calls, when the research community supported the continued existence of EuroStemCell, a second project launched in March 2010, funded by the European Commission's Seventh Framework Programme (FP7). EuroStemCell II set out with the vision of uniting stem cell and regenerative medicine labs across Europe in a coordinated effort to engage with the public about stem cell science and related ethical and societal issues. It’s eleven partners initially brought together than 90 European stem cell and regenerative medicine research labs across eight European countries. Like the current EuroStemCell, it was a partnership of scientists, clinicians, ethicists, social scientists and science communicators, and worked closely with educators and patient representatives. The focus was to provide reliable, independent information and road-tested educational resources on stem cells and their impact on society. We curated existing material developed by partners and others, developed new resources to address identified needs and information gaps, and worked with teacher and patient organisations to ensure information and resources reached the audiences who needed them. You can find resources developed by EuroStemCell in briefing notes for journalists, on patient association websites, in museum exhibits, in film festival programmes, on education authority and teacher websites, and many other locations throughout the world. An essential change in this iteration of EuroStemCell was to translate key web content into five additional languages – French, German, Italian, Polish and Spanish. This means we can now reach up to 80% of European citizens in their first or second language, supporting education and engagement with stem cell research throughout the continent. The multilingual website eurostemcell.org was and continues to be the main channel for our activities. 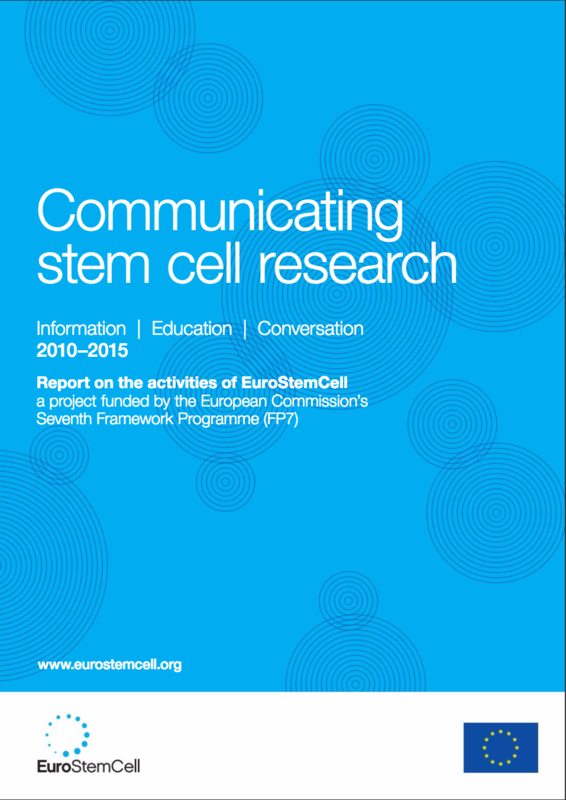 Read our report on the activities of EuroStemCell, published February 2015.